Nearly three out of five small business owners (58 percent) are more optimistic about their future as a direct result of the 2016 presidential election. Nearly three out of five small business owners (58 percent) are more optimistic about their future as a direct result of the 2016 presidential election. This wave of optimism is tied to expectations that the new administration will enact widespread changes in business policy, regulations, taxation and healthcare costs. In spite of this wave of optimism, barely over half (51 percent) of business owners say that they regularly follow and update a business plan. In addition, only 2 percent of small business owners most often turn to free or low cost solutions offered by the Small Business Administration, and just 4 percent will most often seek advice from their banker. They may be optimistic, but a survey commissioned by Fifth Third Bank (NASDAQ: FITB) shows that small business owners are leaving valuable resources on the table. "We're pleased with the positive outlook carried by many small business owners, but we also strongly encourage them to not rely on optimism alone to grow in 2017," said Kala Gibson, head of Business Banking for Fifth Third Bank. 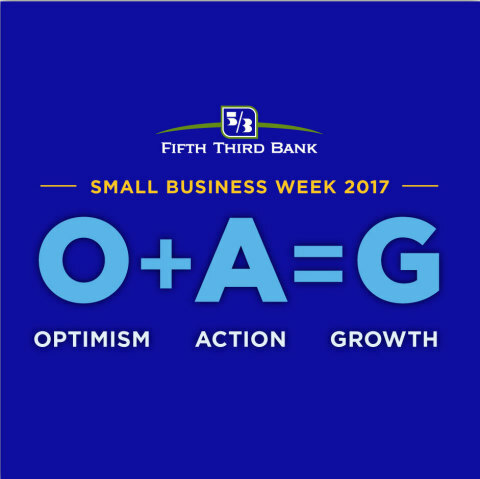 "Small business owners must translate optimism into action if they want to achieve their business goals." While the survey showed that small business owners are most often turning to peers, friends and family for support, they're underutilizing lawyers, bankers and community assistance providers like the Small Business Administration's Small Business Development Centers and Service Corps of Retired Executives (SCORE). Copyright © 2017 Fifth Third Bank, Member FDIC, Equal Housing Lender, All Rights Reserved.